We have flexible payment plans that you create with the manager during the pre-operative “visit”. Your initial visit is the preoperative “consult” with the doctor. At the time of that consultation you will be given a copy of the fee sheet and quoted a price for your procedure. The second visit is with the staff. Your pictures will be taken, diagnostic tests will be performed and measurements will be done if necessary. You will also meet with the manager during this visit to discuss scheduling and payment options. A minimum deposit is required at this time. You can work with the manager to pay over time or with a single payment on any date or dates of your choosing. Half of the total fee must be paid to secure a procedure date and the total must be paid no later than 2 weeks before your planned procedure. If you are unable to satisfy your payment plan for any reason, your procedure can be rescheduled to a future date more financially convenient for you. For members eager to schedule their procedure on a date that may not be financially convenient, Flawless can now offer low interest finance options, through their Private Bank affiliations. You can discuss finance options with the manager during the pre-operative “visit”. Your initial visit is the preoperative “consult” with the doctor. At the time of that consultation you will be given a copy of the fee sheet and quoted a price for your procedure. The second visit is with the staff. Your pictures will be taken, diagnostic tests will be performed and measurements will be done if necessary. You will also meet with the manager during this visit to discuss scheduling and payment options. A minimum deposit is required at this time. You can also work with the manager during this visit to apply for Private Bank financing. For members with less than ideal credit Flawless can now offer finance options through their Federal Credit Union affiliate. You can discuss finance options with the manager during the pre-operative “visit”. Your initial visit is the preoperative “consult” with the doctor. At the time of that consultation you will be given a copy of the fee sheet and quoted a price for your procedure. The second visit is with the staff. Your pictures will be taken, diagnostic tests will be performed and measurements will be done if necessary. You will also meet with the manager during this visit to discuss scheduling and payment options. A minimum deposit is required at this time. You can also work with the manager during this visit to apply for Credit Union financing. Flawless accepts payments from Flexible Spending Accounts. This is a special account offered by employers that you contribute to and use to pay for certain out-of-pocket health care costs. These contributions are not taxable. This means you’ll save an amount equal to the taxes you would have paid on the money you set aside. Terms and conditions vary and the final decision rests with the flex spending account manager. There are instances when your credit simply needs to be repaired before considering financing of any sort. In these cases we use Second Chance Financial. They understand that everyone’s situation is unique and may require special attention. It doesn’t matter if you need advice on understanding your credit report or have late payments, identity theft, liens, collections, bankruptcies, AND repossessions, they can and will help. 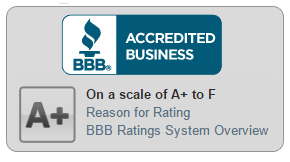 Don’t be shy, we use them ourselves for personal and business credit matters. 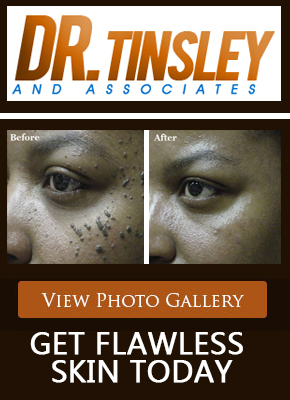 Call 708-799-4000 and tell them Dr. Tinsley Sent You.